Morpheus has been available for public beta testing for one week and we would like to thank everyone who has participated so far. We would also like to thank those who took the time to complete our beta testing program survey and provided us with feedback and suggestions. 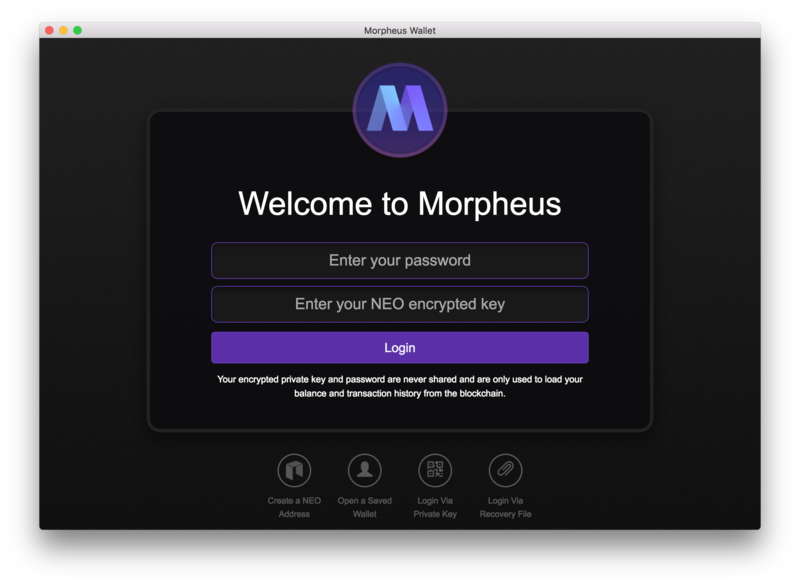 The focus of the v0.0.37 beta was to get feedback about the login process and saving your address to Morpheus. Based on survey responses, we have made the entire process a lot more intuitive and the upcoming beta will include these changes along with some design improvements thanks to suggestions from our growing community. 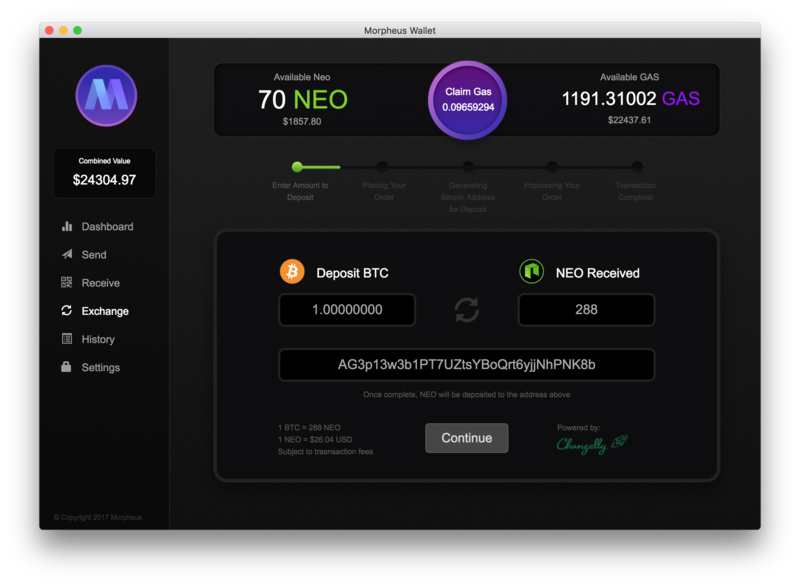 We have also been working on the UI for the Changelly exchange services which will allow you to swap BTC for NEO by generating a BTC address you deposit bitcoin to and in exchange receive NEO directly to your Morpheus Wallet. The long-term goal is to introduce a Morpheus liquidity token which will allow users to swap assets across blockchains using NEO Smart Contract and NeoX, but that’s a topic we will discuss in another post.